I am currently behind schedule, but school is taking a toll on my life. I'll try to catch up. 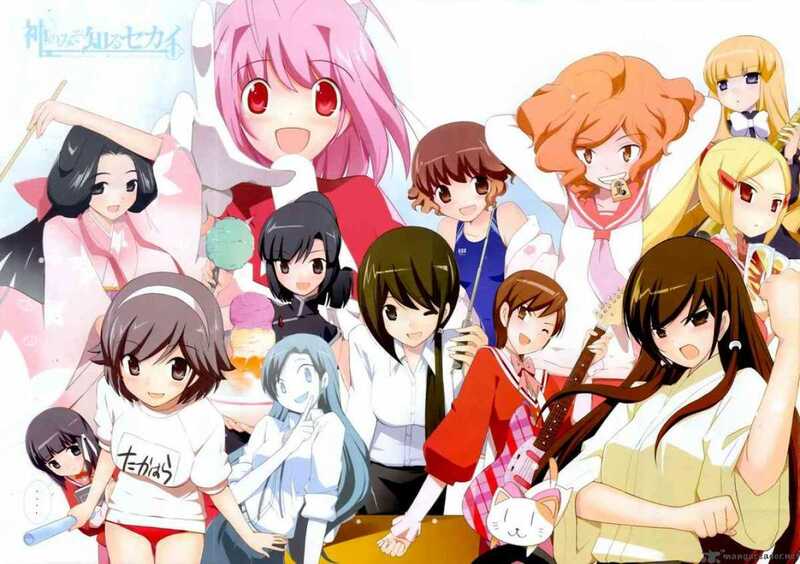 "The world god only knows" is a very popular manga series with over 200 chapters at the moment, and its surprising that something like this will get an anime. Its a different kind of anime, lets just say that. 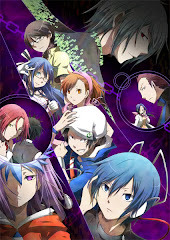 While its easy to classify this as a harem, its actually something completely different. Think "Pokemon", but with girls. Instead of catching pokemon, you catch girls.....sort of. "The world god only knows" is all about dating. Conquering the hearts of girls and eventually making them fall in love...that's what this is all about. And trust me when I say this there are A LOT of girls in this anime....all of which are voiced by famous female voice actresses. Throughout the 2 seasons there are seven featured girls, and in the manga there are a lot more. Eroge much? 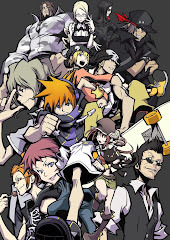 I may be in the minority here as I see many people praising the opening songs for the series, because I don't really like both of them. In fact, I find the first one creepy. "God only knows" and "A Whole new world God only knows" are both by ELISA (correct me if I'm wrong but I think its her), and its really weird because these kinds of songs don't usually fall into her area of expertise. They sound a little like anthems...or just hymns. The second one used in season 2 is slightly more upbeat, but still gives off the same feel. The ending for season one is "Koi no Shiteru" and its sang by the different seiyuus of the different heroines in that particular season. Its any one of those strawberry marshmallow girly songs that I usually don't take notice of, but different seiyuus singing them is always a plus. The second season ending is "Ai No Yokan" by Kami nomi Zo Shiri Tari (its probably just the many different seiyuus of season 2), and its actually a little better. It has a more catchy feel that actually makes it sound more J-pop-ish, which I can relate to. 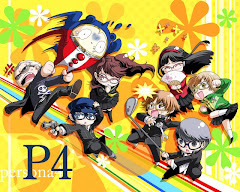 Once again I'm rating both seasons together because I feel that season 1 and 2 are basically the same damn thing. Its all about winning girls over and that applies to both seasons, just that both seasons have different girls. Since most girls that are conquered almost never appear again, I do feel that there is less time for us viewers to connect to them (they do appear later in the story of the manga, but the anime hasn't gotten quite there yet) or develop any sort of liking. Still, you may find some likable, and instant establish a liking for that character, but its all personal taste. There is pretty much only character development for our two main characters, and those make quite a pair. Probably one of the best pair of partners in crime in all of anime history. They are just so hilarious. No man can ever compare to him! 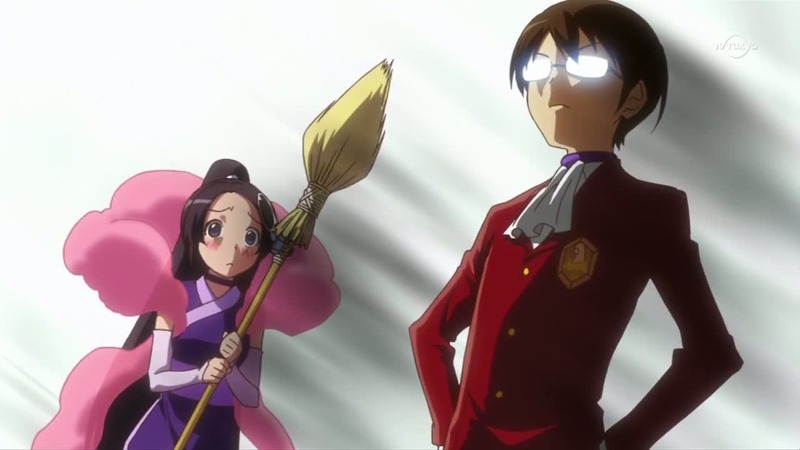 Katsuragi Keima is the god of all men! Or in normal human terms, he is the god of all losers! He is nothing but a mindless otaku that plays games 24/7, and in fact, he only plays eroge! He has played countless numbers of eroge that he has conquered tons of heroines in games, so much that he is known as the "God of conquering" in forums. One day, upon noticing his status "God of conquering", an unknown individual sends him a request for conquering. He mindlessly accepts, not knowing that actually an underworld servant Elsie just made a contract with him. Now they are both bound by death as partners and are to conquer REAL world girls in capture loose souls. 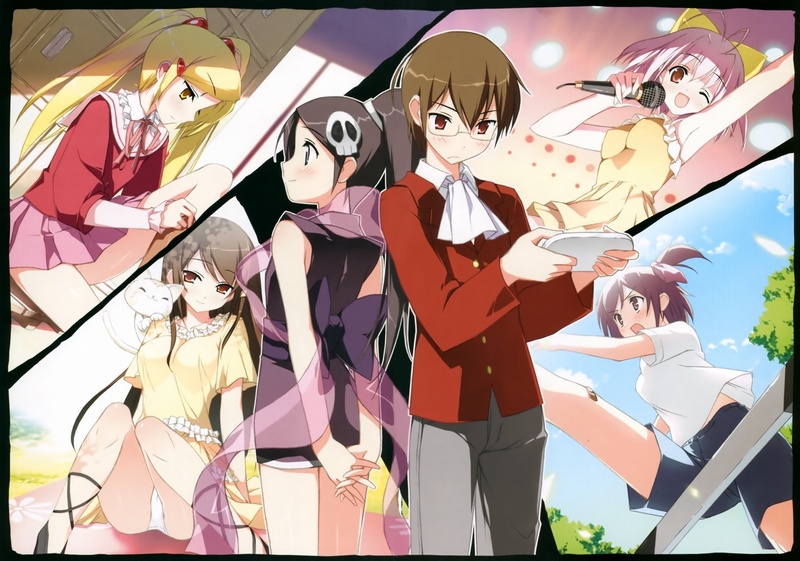 Keima has only eyes for 2D girls, so conquering real world girls proves to be dreadful for him! Now Keima works with Elsie as partners to conquer girls to let the loose souls out of their bodies. "The world god only knows" is a funny ordeal that can appeal to most guys, though I do think this genre of anime can appeal to anybody. It also shows how different girls can come out of an anime, since the girls that Keima conquer all have WIDELY different personalities, that some of us may like. Season 3 is on the way I heard, so we might very well see more of this ridiculous duo!